A series of defense motions filed in Jefferson County court early this morning ask that charges against Scott Phillips and Onis “Trey” Glenn III be dismissed. Glenn, until his indictment in November, served as President Donald Trump’s Southeast EPA administrator. Phillips is a former Alabama Environmental Management commissioner. Both men, according to a statement from the Ethics Commission at the time of the indictments, are charged with multiple counts of violating state ethics laws. Also in the early hours of Monday morning, former federal and state prosecutor Matt Hart filed a notice of appearance to represent Glenn. This is Hart first’s appearance as a defense attorney after being forced to resign his position with the attorney general’s office in what is believed to be a political coup orchestrated by Attorney General Steve Marshall as payback to wealthy campaign contributors. Bill Athanas, a former colleague of Hart’s from his days in the U.S. Attorneys Office in Birmingham, filed his notice of appearance on Glenn’s behalf on Feb. 8. At today’s arraignment, defense attorneys for both Glenn and Phillips cite a violation of due process and selective and vindictive prosecution as reasons to dismiss the charges against their clients. There is also an added element of deception and lack of candor on the part of Tom Albritton, executive director of the Ethics Commission, lurking in the background. As first reported by APR. shortly after Glenn and Phillips’ indictments, actions taken by Albritton and his team raised serious questions about the process that led to charges against the two men, according to APR sources. Chief among the concerns of selective and vindictive prosecution is whether then-Jefferson County District Attorney Mike Anderton had in fact requested the ethics commission’s help in indicting Glenn and Phillips, as reported by al.com. APR reported in November that Albritton and Ethics Commission lawyer Cynthia Propst Raulston approached Anderton and he did not request help with the case from the commission, as was reported in al.com. In fact, sources close to Anderton say he had not even heard of the situation until Albritton and Propst Raulston approached him about it a few weeks before Glenn and Phillips were indicted by a Jefferson County grand jury. In the defense motions, they argue that there were violations of statutory safeguards provided in the Alabama Ethics Act. “The Act’s explicit guarantee of due process and its detailed statutory scheme detailing the multiple layers of process that are due illustrate the Legislature’s deep commitment to guaranteeing a fair and just process to people alleged to have violated the Act’s provisions,” reads the motion. Glenn’s attorney also states that the procedural process was circumvented when Albritton and Propst Raulston took the complaint directly to a grand jury rather than the Ethics Commission as prescribed by the Legislature. The defense asks why Albritton didn’t bring the complaint against Glenn and Phillips to the Ethics Commission rather than going straight to a grand jury. An ethics commissioner said privately that the commission was never informed about a complaint against the two men, nor was the investigation. Actions taken by Albritton and Propst Raulston has created turmoil at the commission according to internal sources and has raised a question about who would prosecute the case on the state’s behalf. 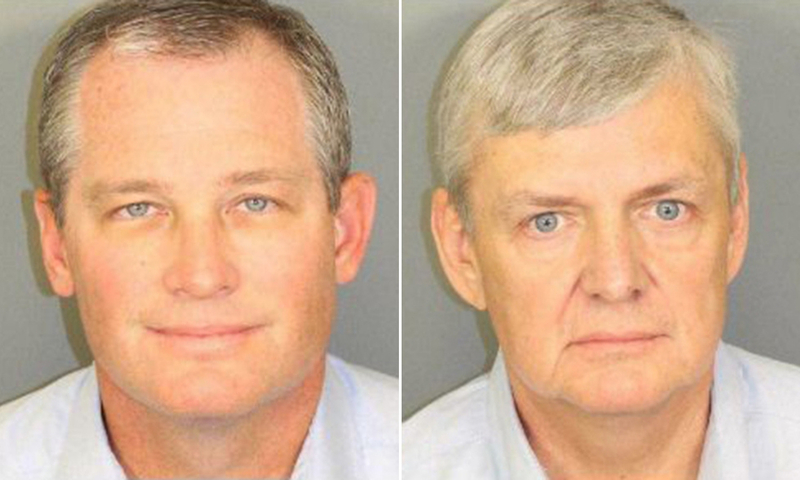 Recently Albritton, Propst Raulston and other attorneys for the commission asked the attorney general’s office to take over the case; however, according to sources within the office, the AG turned them down after a review found “statutory problems” with how the case against Glenn and Phillip was handled. While not explicitly noted in the motion to dismiss, the relationship between environmental group GASP and the prosecution is a subject that will arise if the judge grants a discovery hearing on selective and vindictive prosecution. Immediately following Glenn and Phillips’ indictment, GASP posted a celebratory tweet even taking credit for the indictment. Former GASP Director Stacie Propst is the sister of Ethics Commission lawyer Propst Raulston who presented the case to the Jefferson County grand jury. GASP has been at the forefront of exposing toxic waste complaints in Jefferson County. Sources have told APR that the sisters regularly communicated about GASP findings, which may have led to Glenn and Phillips’ indictments, details that could be uncovered in the defense’s discovery request. Another issue cited in the defense motion is a press release from the Ethics Commission staff given to a select reporter. The defense claims the required disclaimer was not added in the commission’s press release. While many in the environmental community and others may believe that Glenn and Phillips have engaged in wrongdoing, the defense argues the prosecution took an illegal short-cut to indict the pair, which denied them due process and amounts to selective and vindictive prosecution.